My river | It's a Miracle! Even when death had not become endemic, quicksand was a perennial problem. Marauding elephants became a concern much later when we cut down the forests. The Kangsabati, which is also known as the Kasai, has always been my river. I grew up a short bicycle ride away from its sandy banks. On afternoons of oppressively hot summer days, I would ride past the sleepy district court to where the paved road abruptly turns into a dusty red streak. I would pedal past brick kilns, outstretched shady banyan trees, and red lateritic valleys until I reached the top of a hill overlooking the river. From there I sat and watched cows kick up dust on the way home and laborers slowly file out after the daily shift at the rice mill. As afternoon turned to evening, the hazy sun slowly set while the river glistened metallic. The 5:45 Howrah local train galloped over the rail-bridge adding another fleeting element to the evening panorama. In the winter months, there would always be picnics on the river bank. We would carry rice, vegetables, spices, large pots and pans, recently-butchered poultry, glasses made of clay, and plates made of sal leaves to the river’s edge. There would invariably be some commotion because someone forgot to bring along something that was needed, tempers would flare up, and the food would either lack some essential ingredient or be exceedingly rich for human consumption. There would be music from either a makeshift loudspeaker setup or more likely from the questionable singing and instrumental talent available, and talk of local politics, music, sports, and movies. During the rainy season, the Kasai would assume a different form. Fed by the monsoons, it would swell up and engulf livestock, paddy fields, and huts in adjacent low-lying valleys. During these months, I would pedal up to the rail bridge just outside of town expertly holding an umbrella in one hand. I would sit and gaze at the swirling muddy currents below until interrupted by a sudden downpour, which would cause me to furiously fly back home through puddles on my rusty bicycle as I was mowed down by machine-gun pellets of rain. Getting to the river at certain places was tricky because of quicksand and drifting currents to which, every few months the town lost an inhabitant. Call it the foolishness of youth, but that never prevented me from going to the river’s edge or from wading in the water. Because the most convenient access to my town involves crossing the Kasai over a bridge, it was the last physical symbol of my home when I left it over a decade ago. After days of sleepless cross-continental flights, it is a still a sight for sore eyes when I return every few years because it means I am nearly home again. A road parallel to the river traverses the railway lines on the other side of town. Just past the railway level-crossing are picturesque villages typical of rural Bengal, swathes of sal forests, and paddy fields. 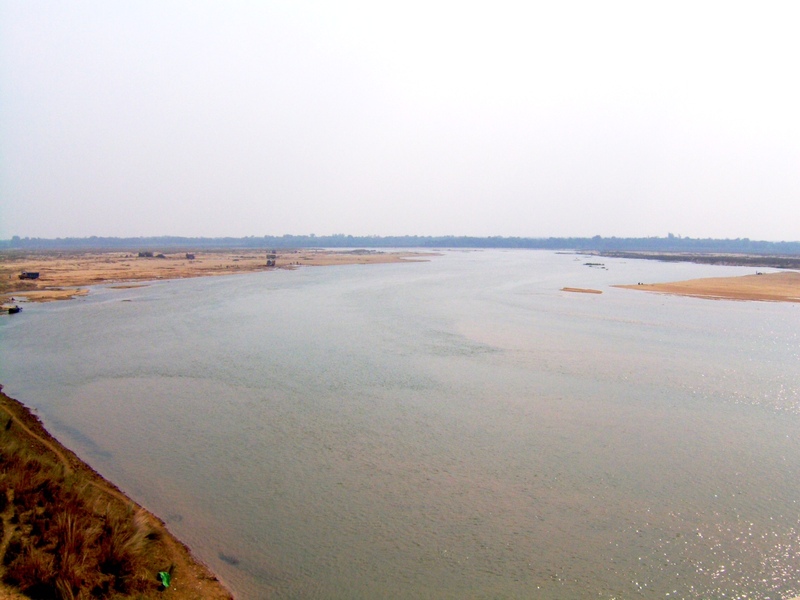 At Dherua, 25 kilometers west, the Kasai had to be crossed by boat, though in the summer months you could wade across with a bicycle held above your head– quicksand be damned. On the other side of the river, the leafy sal forests turned densely green all the way up to Jhargram, the last major town before the road split and entered Jharkhand. From time to time, a series of elephant attacks occurred in the region and along the road. It is hard to think of elephants as dangerous, endangered animals. However, wild Indian elephants, which are both, are used to migration routes established over decades: these bulky creatures can go on a rampage when their forests and watering holes are encroached upon. I first heard about herds of wild elephants coming down from the Dolma forest range in Jharkhand and wreaking havoc in villages surrounding my hometown when I was in college. They managed to cause mild panic, but they never made it any closer than Gurguripal, a colorfully-named village four kilometers away on the Dherua road. Some of the elephants were killed; others like the mother and calf I saw at the Arabari Forest Range over a decade ago were captured and placed in large forest enclosures. There is a proverb in Bangla that even “a dead elephant is worth a lakh of rupees”; what fate awaited the surviving elephants, I do not know. 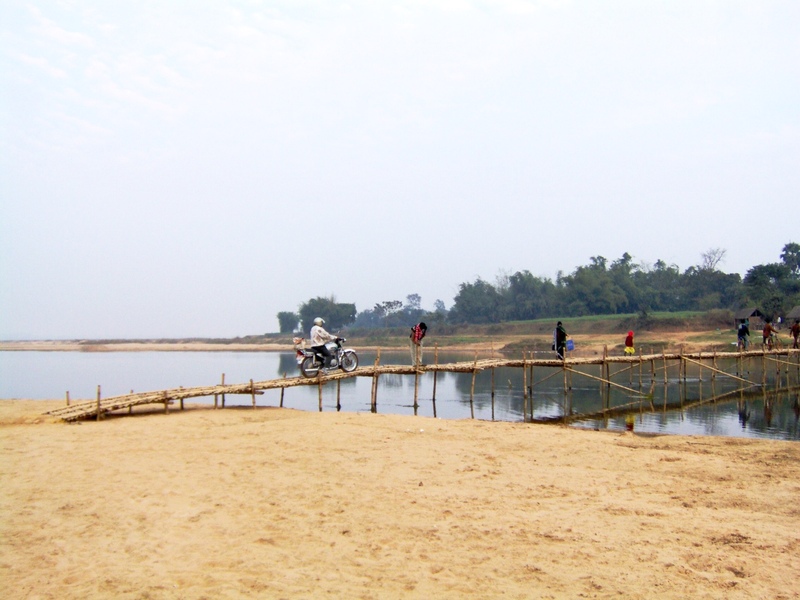 When I visited Dherua in 2006, a newly-built bridge across the Kasai had opened to traffic. The bridge had substantially shortened the time to get from Midnapore to Jhargram, though overcrowding meant the most convenient place to sit on the buses plying the route was on the roof. (The trick to sitting on the roof of a bus is to sit as far from the corners as possible and to keep a watchful eye out for tree branches and electrical wires). When I had arrived in Dherua, I had noticed that there was a large market near the bridge abuzz with shops selling colorful plastic buckets and toys; cheap used shirts and children’s clothing; and a mishtir dokaan where a friend and I greedily devoured some khasta-gaja and shingaras. It was laid-back village unremarkably like any other in the western edge of the state. Conflict boiled over in the years following that visit. I read the headlines from afar tinged with disbelief. 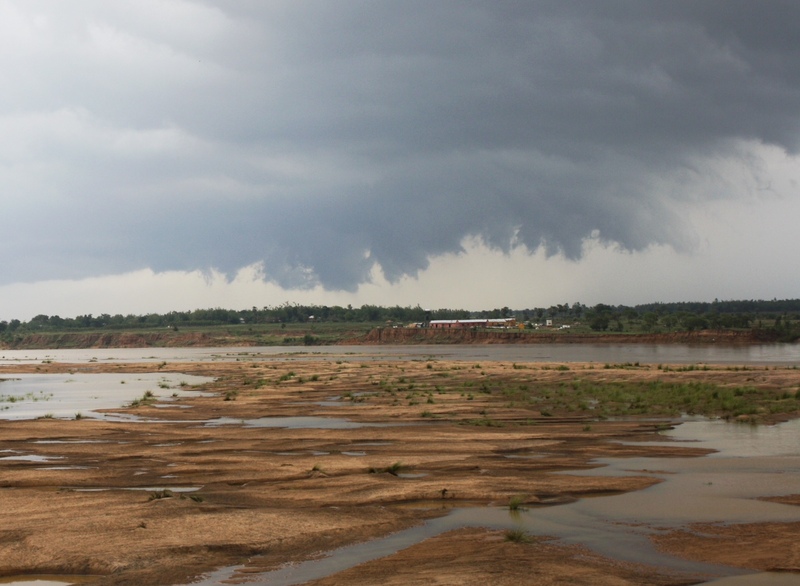 The deaths began to pile up in places like Dherua, Jhargram, and Lalgarh. Many people I knew fled their homes to the relative security of Midnapore, but even the town was not spared. Everyone knew someone who had fallen prey to extortion, or worse, had been kidnapped. In May of last year, rail tracks were destroyed resulting in two trains colliding near Jhargram. The death toll exceeded more than 100 from that act of terror alone. What had triggered this destructive spiral in region which had at least, outwardly appeared peaceful? In May, people decided they had had enough and the political party which had ruled the state for over three decades was swept out of power. There is now a fragile peace, but no one is sure what will trigger the next wave of violence. In June, I was back after five years. The unrest had taken a visible toll on the human landscape. The shops I had seen in Dherua were gone as were many of the other establishments. The largest building visible from the Kasai was an outpost for the police. On a certain stretch of the road, I noted that every fourth vehicle was a police jeep. People looked upon strangers with distrust. The Kasai has been a witness to all the mess we have failed to prevent. I still fondly remember sitting on its banks before the last stand of the elephants; before the men blazed their guns. As long as it flows, it will be twisted into an intricate relationship with us. It might be a strange co-incidence but kasai in Telugu means cruel. It means butcher in Bangla too. Brilliant! Charyapad er char te line mone porche. Janina keno.